It is with regret that the recycling site at Elton Jubilee Field will be withdrawn between 10 and 30 January 2014. The decision has been made because fewer materials have been deposited at the site since the introduction of new doorstep recycling facilities. HW Martin who operate the sites have said that the decline in usage means that it is no longer financially viable for them to continue running the sites. Once a date has been set for withdrawal, notices will be displayed at the site. The site will be given a final clean once the containers are removed. If you have any questions about this issues, please contact me on 07816 986 956 or email colin.swindell@derbyshiredales.gov.uk. 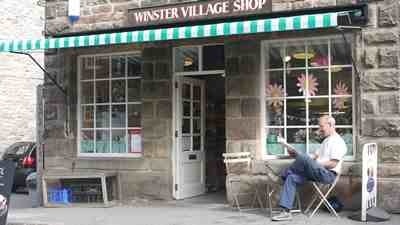 The meeting between Elton residents and Winster Village Shop, due to take place on Monday 2nd December 2013, has been postponed. The Shop Board would like to apologise for any inconvenience caused. The Shop Board is keen to know what Elton residents want from the shop so a meeting will be rearranged for January 2014.